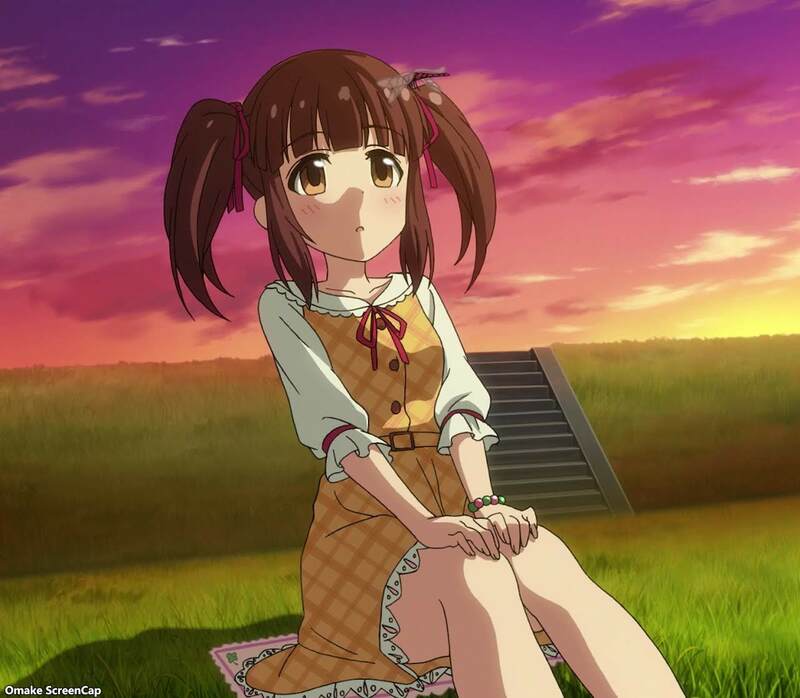 Chieri tried to deny it, but Riina's spinning finger trick was very successful on spinning Chieri's eyes. Riina has a trick for catching dragonflies, but it looks like it works on catching Chieri better. 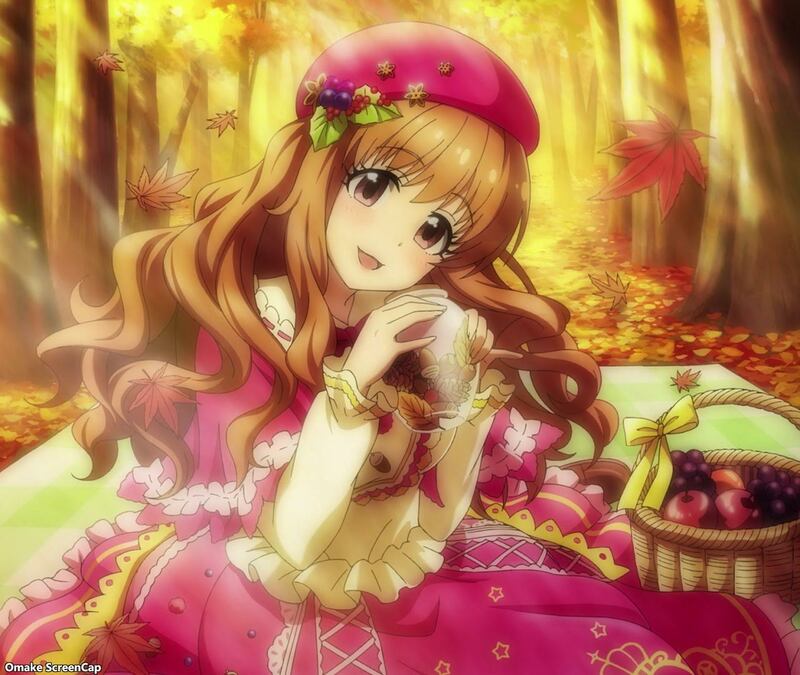 Kirari's photo shoot looks exactly like how you would picture her in a forest in Autumn. 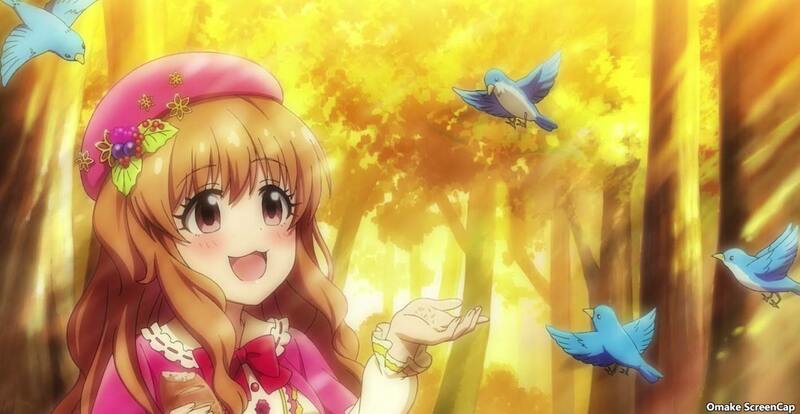 Anzu's voice-over impression was scary accurate, though. 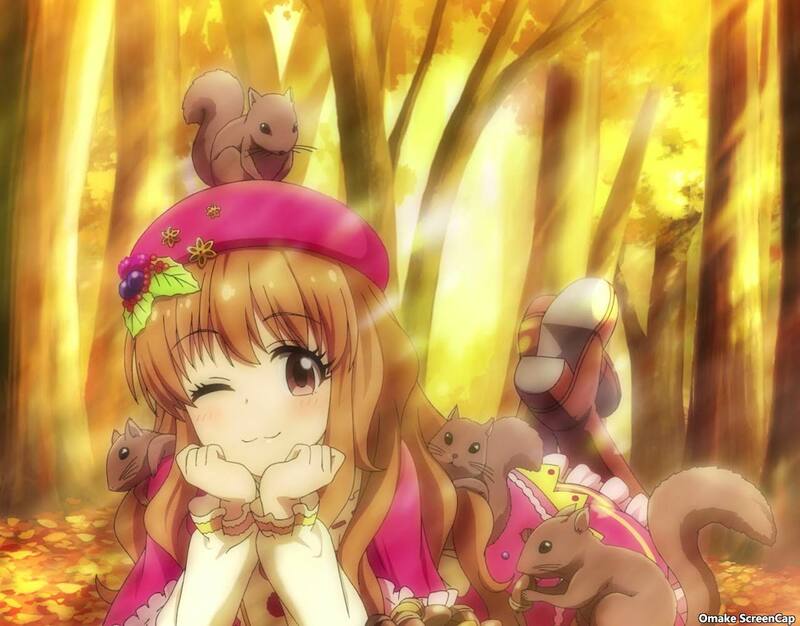 Asuka lay down in an Autumn forest, posing as a tragic heroine.